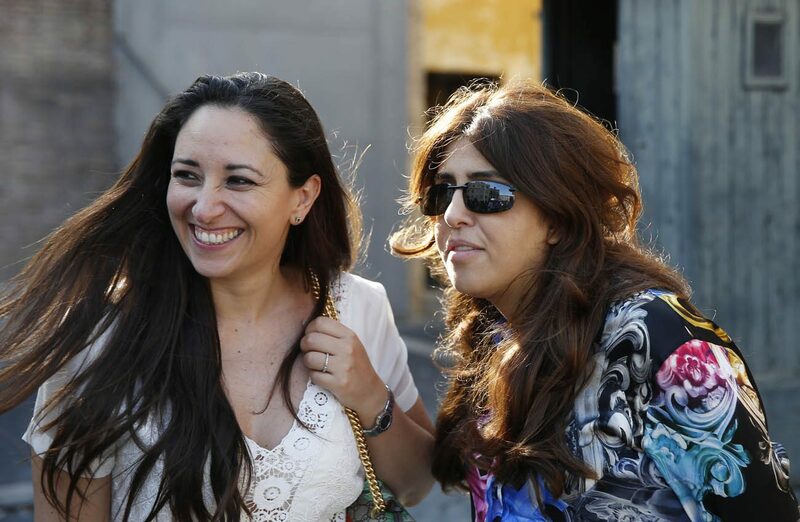 VATICAN CITY (CNS) — A Vatican court, citing freedom of the press, acquitted two journalists who published confidential documents while their source, a Spanish monsignor, was sentenced to 18 months behind bars. Judge Giuseppe Della Torre, head of the tribunal of the Vatican City State, delivered his ruling July 7, declaring that the court had no legitimate jurisdiction over Gianluigi Nuzzi and Emiliano Fittipaldi. Finding the Spanish monsignor guilty of actually stealing and passing on secret documents, the court sentenced him to serve jail time. The judges determined that Chaouqui’s role was one of encouraging the leak and they gave her a 10-month suspended sentence. Nicola Maio, Msgr. Vallejo Balda’s former assistant, was found not guilty and acquitted of all charges. Shortly after the court’s ruling, Jesuit Father Federico Lombardi, Vatican spokesman, released a statement saying that despite criticisms of the proceedings, the trial was “necessary” to ensure that Vatican law regarding the leaking of private documents is respected. “We cannot declare objectives or establish norms and not be coherent in putting them into practice and pursuing those who break the law,” he wrote. The ruling brings an end to the “VatiLeaks” trial, which began in late November, after long periods of recess and months of witness and expert testimonies on the events leading to the leaking of private documents dealing with the Vatican’s financial reform. Nuzzi’s book, “Merchants in the Temple,” and Fittipaldi’s book, “Avarice,” focused on the irregularities uncovered by the commission Pope Francis established to study the financial activity of Vatican offices. Shortly after the books were released, Pope Francis expressed his dismay, saying he was “disturbed” by the leak. Msgr. Vallejo Balda, Chaouqui and Maio were accused of forming an “organized criminal association” with the aim of “committing several illegal acts” of leaking confidential documents. Fittipaldi and Nuzzi faced charges of “soliciting and exercising pressure, especially on (Msgr.) Vallejo Balda, in order to obtain confidential documents and news,” which they then used for their books. “I am a person who, at times, is unable to keep quiet. I am proud, angry and have a character that has sometimes led me to make mistakes,” she told the court July 7. She also argued the prosecution did little to prove her alleged threats led the Spanish monsignor to leak the documents. Chaouqui noted that a profanity-laced message to Msgr. Vallejo Balda read in court July 5 was sent several months after he had already given Nuzzi the documents. “I was given the harshest penalty as if I had done everything alone from the moment I met (Msgr.) Balda,” she said. Breaking down in tears, Chaouqui said the accusations against her were false and that her “personal and professional image as a woman and a mother” was destroyed. “For me these months have been a Calvary. No punishment is greater than what I have been through up until now,” she said. Lawyers for Maio, Nuzzi and Fittipaldi had given their closing arguments July 6, calling for the full acquittal of their clients due to lack of evidence. Roberto Palombi, Nuzzi’s lawyer, also said the Vatican court had no jurisdiction because Nuzzi is not a citizen of Vatican City State and that the alleged crime of receiving and publishing private documents took place in Italy. “We are defending an Italian citizen who exercised his right to freedom of the press; we are talking about here a new kind of crime — a criminal association of the press,” he said. The charges are not “against freedom of the press” but rather relate to the questionable methods used to obtain the information, Vatican co-prosecutor Roberto Zanotti argued.